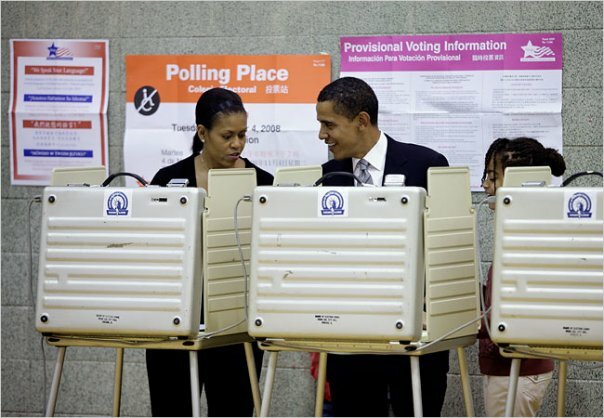 Barack: "Hey baby, who'd you vote for?" Michelle: "Don't play with me! It's too early in the morning! You see my hair aint even done!"